The nominations are in – it is now up to you to vote for the winners of the prestigious PK Education Supply Teacher of the Year Awards 2018. Back for their fourth consecutive year, the awards recognise and reward PK’s supply teachers who go the extra mile in the many schools they work in. 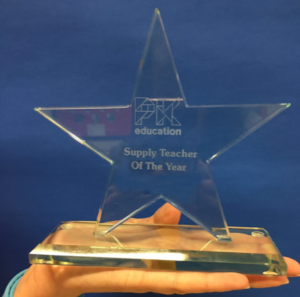 Six titles are up for grabs; each one recognising supply teachers across the PK offices – Newcastle, Leeds, Sheffield, Nottingham, Birmingham and Manchester. Teachers in each region have been shortlisted from the nominations received and a public vote will determine each of the six winners. Vote for the supply teachers you think should claim the awards here. Tina is described by schools she works in as a ‘most reliable candidate’. She goes above and beyond helping schools with jobs that fall outside of her usual responsibilities. She consistently gets great feedback from schools about her great classroom control and her ability to create a positive rapport with both pupils and staff. Valerie always has incredibly positive feedback from the schools she visits and everybody speak highly of her. She is always on time and does an excellent job. Charlotte has nothing but brilliant feedback all year round. That has been recognised by the schools she has worked in. Particularly her current school, which has asked her to return in September for another year. Schools that David works with have nothing but praise, saying that “he is a star and deserves recognition for his passion for teaching.” He is the first one in school and often the last to leave – even during the two days of heavy snowfall earlier this year. He manages to balance following the plan set by the teacher and recognising when pupils require something else to keep them on track. Howard is a first choice at several schools in the area. He has a 100% attendance record and arrives on time every day. He is a strong teacher. His behaviour management is exemplary and his organisation and flexibility is second to none. Phil has worked as a cover supervisor, instructor, one to one support worker and teacher. His ability and willingness to cover different roles is a major strength and draw to local schools. Due to his excellent behaviour management Phil is very much in demand at schools. Nazish’s general conduct is outstanding. She arrives at school for 7am every morning. This has impressed her current school so much that they have recruited her on a permanent contract from September. Loyal, nice and reliable are just some of the words used to describe Suzanne, who always goes the extra mile – whether her role is just for one day or on a more long-term basis. As a result, she consistently receives fantastic feedback from schools. Her flexibility and willingness to take cover supervisor roles, despite being a very experienced teacher, is invaluable and has helped to build a great rapport with schools. Megan is a truly inspirational ‘smiley’ teacher who always delivers fun, engaging lessons – making learning exciting. She has made huge progress in the teaching and learning in the short time she has worked with her class and built excellent relationships. A good teacher changes lives and in key stage one can really instill a love and passion for literacy or numeracy, shaping young minds and this is Megan’s aim each day she teaches. Megan is also really creative and does amazing art work displays. She consistently meets the emotional needs of her class. She is everything a Key Stage 1 teacher should be and more! Kirsty is described as a conscientious and hardworking supply teacher. She always arrives early and can be guaranteed to leave a good impression with a school. She consistently receives excellent feedback whether she is working in a prestigious public school, or in a comprehensive in a deprived area. She will comfortably work in any sector (SEN, Primary and Secondary) and has travelled distances that most other candidates would not. Although not a teacher yet, Liam has proved himself a hit with every school and class he has worked with. A KS2 specialist, Liam has worked in Nurseries, KS1, TA, HLTA and has been loved and adored by each and every school and he often has schools fighting over him. He has a real passion and desire for teaching, so much so he will be embarking on his PGCE next year. Lisa is cheerful, willing and happy to undertake anything that has been asked of her; she is currently working full time in English whilst maternity leaves are starting and coming to an end and she was more than happy to step into the breach, taking responsibility for the classes in the interim. Lisa has thrown herself wholeheartedly into any lesson that she is allocated. Mo has worked for PK for over 10 years and has consistently delivered a level of service that represents PK in the highest way possible. Mo is a teacher that gives 100% to every role he takes. This doesn’t just mean with the classes that he teaches but with his colleagues as well. Other supply teachers that work with Mo regularly feed back how he goes out of his way to help them and make them feel welcome. Mo has been a pleasure to work with for the last 10 years and continues to impress with his work ethic and commitment to his role. Dominic has been the most incredible Teacher at Springwell EBD School – even battling the Beast from the East to make sure he could get to school for his pupils. He has a very positive attitude to work. His support in helping disengaged pupils develop socially and emotionally to achieve their best includes making sure the classroom is prepped and ready, and that the pupils have somewhere safe to call their own. This has really set him apart and resulted in schools consistently giving us positive feedback about Dom. Year 3 teacher Steve went into Acres Hill Primary School for a one day booking and they loved him so much that he has been there ever since and has even been added to the staff list on the school’s website. Nothing has ever been too much to ask and his manner and professionalism is second to none. Saima is very flexible and will put a hand to everything, covering various subjects and roles. She is also a referral star, allowing PK Education to work with more exemplary candidates. Debbie always gets amazing feedback wherever she goes, especially in the most challenging of schools. She is always asked back, even to cover German, when her specialist subject is food! This is a testament to Debbie’s ability and flexibility. Graham is happy to travel distances that other candidates would turn down and is happy to cover a whole array of subjects. Schools always send amazing feedback and ask for him to return. Each of the award-winning supply teachers will receive a stunning glass trophy and a £50 gift voucher as well as a prestigious title. If you’ve worked with any of the shortlisted candidates or have been taught by them and think that they’re as great at their job as we do, then you can vote for them to win a Supply Teacher of the Year Award here. 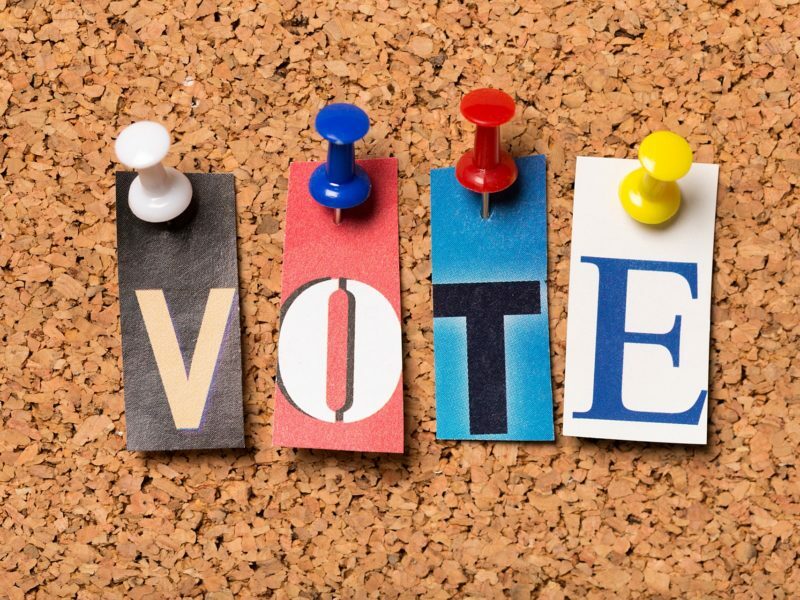 Voting closes at midnight on Sunday 17 June 2018.